April | 2017 | and a beauty to you! You will find 9 reds and 3 whites in this Spring case, and I snuck in a rose just to get you thinking about the warmer weather ahead. The origin of the wines is almost evenly split between Italy and France (5 from Italy, 7 from France). The Italian Gringolino is the lightest of the reds, and the Pic Saint Loup is the fullest. People are always looking for a wine to just serve friends without food, and of the whites, I would favor the Corzano, with the Soucherie Anjou Blanc being better with food. For the reds, the Gringolino, the Barbera, or the Rosso would be great as an apertif. In my attempt to continually improve these seasonal cases of natural wine, we’ve added two new features to the write up. 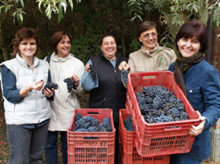 The first is, we have photographs of the families who make the wine. I find being able to see the people behind the wine makes my enjoyment of the wine more complete. We’ve also put the individual retail prices of the wines, because a game I continually play is to look at the color of the wine, to gently swirl it around and smell it, and then take a taste – finally guessing the price. If I guess $30, and the wine is $19.99, (which was the case with the Barbera) I get excited and make a mental note. At the end of the write up, you’ll find the instructions on how to reserve a case and how to pick it up. Lastly, we’re going to give you incentive to rate these wines from your taste. The rating will be done on a simple, 5-point scale. The way it’ll work is: there will be a card in each spring case with a way to evaluate the wines on this 5-point scale. If the card is turned in by the date specified on the card, your name will be entered into a drawing for a special bottle from my cellar. Chenin Blanc has always been a superstar in France’s Loire valley – where they make dry, sweet, and sparkling wine from the grape. But in the new world, they’ve never had much luck with it – except for maybe in South Africa. People preferred Sauvignon Blanc to Chenin Blanc. This, to my thinking, was Chenin’s advantage. The French producers made no effort to change the style of their wines when the world was mad for fat, oaky/buttery, tropical fruited whites. They just went on making lean, mineraly wines. This Chenin Blanc is crisp, and bright, and quite dry. It’s a light wine – best enjoyed at the table with a meal. I’d serve it with shellfish, any kind of spring salad with protein, or any other light spring fare. 2015 was a very warm year in Tuscany, and you can taste the rich ripeness of the fruit in this wine. In fact, one of the things I really like about the wine is the fuller mouthfeel… the texture. Of course the wine has the right amount of acidity to be really good at the table with all kinds of foods, but this wine could be enjoyed without food. I also like that the family decided that they could make a better wine if they planted some French varieties instead of just continuing on with only native Italian grapes. They planted a few rows in the early 90’s, and use the grapes to make this wine. The family has sheep that graze on the same land, and they make sheep’s milk cheese, so maybe it’s not a coincidence that this wine is so brilliant with cheese, especially a sheep’s milk cheese like Percorino. I wanted to give you a head start on what’s to come – here’s the first rosé of the season. This was my favorite rosé last summer, and after tasting it, I had a friend in SC that bought a case. This rosé from Provence is a favorite of many wine geeks. It’s made from an obscure and almost extinct French native grape, Tibouren. 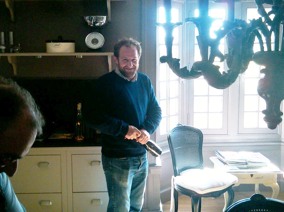 The winemaker André Roux has worked tirelessly to promote the appellation in Provence where he makes this wine, and he’s also been a champion of his grape. His granddaughter Bridget and her husband Claude Deforge inherited the task of reinvigorating the grape’s name; almost all of the Tibouren in production grows on his estate. This wine is aged on the lees for one year, giving it a fuller, more substantial mouthfeel than most rosés. I selected this wine because I’m very fond of the flavors, and there’s something to learn – which is this: not all rosés must be consumed quickly. In fact, this rosé improves over 2 or 3 years. I was happy to be able to select this rosé because it comes from 2015, which is drinking beautifully right now. If it’s warm enough to sit on the porch or the deck, and maybe grill out some chicken or fish, this would be your wine. Or if you’re inside, any lighter fares would pair well with this rosé. Domaine des Schistes was certified as an organic vineyard in 2015. It is located in the communes of Estagel, Tautavel, and Maury in the Agly Valley in Roussillon. I selected this wine because of the interesting complexity of flavors that you almost never find in a wine in this price range. The wine would pair well with any number of lighter meals – roast chicken would be something that would come to mind – or anything with mushrooms or tomatoes. Schistes is shale in Enlgish, and refers to the geological composition of the soil where the vineyards are – and often influences the final flavor of the wine. This wine is an easygoing crowd-pleaser. The farm used to be devoted to animals; they raised cattle and prized stud bulls. In the 1940s Giovanni Vagnoni planted their first grapes, and his grandson increased the vineyard acreage in the 60s. 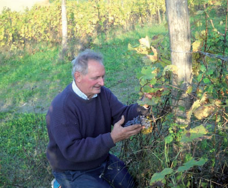 They began bottling Rosso in 1990, and the current generation – Giovanni and Luigino Vagnoni – now farm 16 hectares. They farm organically in a vineyard with influencing limestone. Rosso Bello is a blend of 50% Sangiovese and 50% Montepulciano – both native grapes. This Rosso is imminently quaffable, and not a wine that requires discussion or meditation. It’s simply a delicious wine and extraordinary for the price. It would be marvelous with burgers or pizza, and you’ll probably want 2 because as a quaffer it goes down easy. Ventoux AOC is a wine-growing region in the southeast of the Rhone region in France. The wine is a composition of Syrah, Carignan, Grenache, Cinsault, and Clarette. The vines average 50 years old, and some of the Carignan is 75 years old. Older vines produce more complex and full flavored juice. When I tasted this wine, I knew it would be a favorite…it’s easy to find its deliciousness. And, in fact, I’m betting on this wine to win the most liked in the spring case. In my time at 3Cups, there was a Chateauneuf du Pape imported by Neal Rosenthal called Domaine Monpertuis. It was a staff favorite, and it had such beautiful clarity of fruit and structure. I was a regular purchaser of this wine. 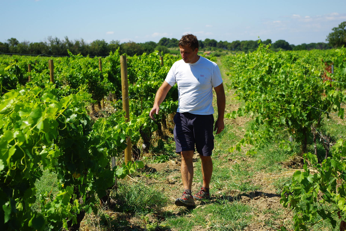 After talking with the folks at Rosenthal Imports, I wasn’t surprised to learn that the very same vigneron had purchased the vineyards at Ventoux and made more great wine. The estate Chateau Valcombe is 28 hectares in the heart of the Ventoux. After Paul Jeune purchased the vineyards and began making the wine, the wine world immediately took note. Paul had created another success. 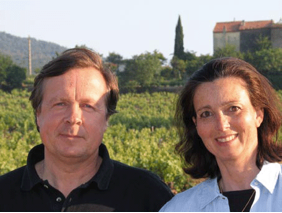 Paul has since decided to retire, but he trained successors Luc and Cendrine Guenard – it’s obvious they were very good students. This wine has beautiful dark and spicy fruit, lively acidity, and overwhelming deliciousness. This is a fuller bodied red than many of the reds I generally select, but if I was a betting man, I’d bet it’ll be a favorite in the Spring Case. I’ve said many of the proceeding wines would be good with lighter spring fare – this wine should be selected with more substantial spring fare… maybe even a steak on the grill. If you don’t have any full spring meals, just save it for the fall. I was thrilled to find a Pic Saint Loup among the wines available in the triangle. There’s an exciting new importer/distributor who just moved here from Seattle, Washington. Jason Tippetts and his wife Adrienne have a space in East Durham and are slowly building up inventory… Expect to see a steady stream of their wines in the seasonal cases. 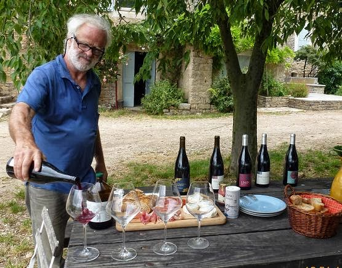 They share my sensibility about wine, have traveled to France (where I believe almost all of their wines come from) and have secured a group of estates that produce natural wine of extraordinary quality—and the prices are righteous. 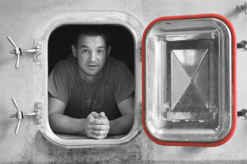 I was first introduced to Pic Saint Loup years ago by my friend and mentor Kevin Knox. He said to me, “Lex, I love the wines from France’s Rhone river valley, but they’re so expensive!” He said that one of his favorites is Chateauneuf du Pape, but it’s out of his price range. Then he told me that he found a wine that’s very similar that satisfied his taste for Chateauneuf du Pape. It’s called Pic Saint Loup, and the composition contains many of the great grapes of Chateauneuf du Pape – not all of them, but many. So even though this red is a fuller bodied, ‘bigger’ red wine than you would think of serving in the springtime, when I tasted the wine with Jason, the price value proposition was so great I couldn’t pass it up. The vineyards of Mas Foulaquier contain 12 hectares in the AOC of Coteaux de Languedoc Cru Saint Loup. It is in the commune of Claret, situated north of Pic Saint Loup. The vineyards sit on chalky-clayey hillsides with a southerly exposure at an elevation of 200 meters above sea level. In the vineyard, Pierre Jequier has been farming biodynamically since 2006. You can see by his picture he’s a soulful man, and makes soulful wine. Another beauty from Jay Murrie at Piedmont Wine Imports. 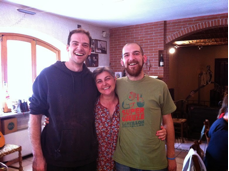 Jay has met Bruna Ferro and her sons Matteo and Luca, and has been to their vineyards. It’s a biodynamic farm, which is a step even beyond organic; they follow all of my criteria for a natural wine. Their farming practices, the way they handpick their grapes, the way they do not use any commercial yeast, and practice non-interventioninst winemaking in the cellar – it all adds up to a natural wine which yields a really fine example of Barbera. Barbera is one of the workhorse grapes of Italy, grown in many, many different regions. In Italy, everyone drinks wine with every meal, and the wine probably consumed the most is Barbera – which is grown all over Italy. I think Barbera reaches the pinnacle of fruition in Piedmonte; this one is from a province called Asti. I first tasted this wine at Pizzeria Toro where it was offered as a wine by the glass. I was immediately smitten. When I called to find out the it achieved what I’m always hoping for – to give you a whole lot of wine value in your glass for what you pay. This wine, for under $20, is a superstar in terms of wine value. I later shared a bottle with my family and friends, where it was a big hit, so I decided to put it in the Spring Case. This is a medium bodied red wine that’s full of flavor. Matt Kramer says (in his fabulous book Making Sense of Italian Wine), “At its best, Barbera is a deeply colored red wine with lush, plush tastes of cherries, blackberries, raspberries, and a bit of spice. Significantly, it’s one of the least tannic red grapes in common production.” Barbera has refreshing acidity, which makes it a great red wine choice for richer fare. Gringolino is a favorite of mine – I like its light, elegant mouthfeel, the lower alcohol, and really everything about it. The Il Carnalasca hails from Monferrato in the NW of Italy. The estate has been developed by Daniele Saccoletto over the past 40 years, beginning from nothing. The property is 14 hectares (about 34.5 acres). This wine can be served as an apertif… make sure to pop it in the fridge for a few minutes before opening; the bottle should be slightly cool to the touch. This wine is 100% Gringolino – an ancient, native grape of Monferrato in the Piedmont of Italy. The agriculture is certified organic with hand picked fruit, natural fermentation, no industrial yeast, and a simple, traditional approach in the cellar to make the wine. Don’t serve this to a guest for whom Malbec is their favorite wine – It’s a polar opposite of the thick, high alcohol wine from Argentina. How to order: You can call the Bulldega (919-680-4682) or send an email to Jay Connor (jay@bulldega.com) who I work with to put these seasonal cases together. Just tell him how many cases you’d like, how you’d like to pay, and approximately when you’d want to pick them up. NOTE: Unfortunately we cannot ship the wine. How to pay: You can pay with credit card when you pick the wine up, or you can pay with the credit card when you call to order, which gives you more latitude on when to pick it up. If your wine is paid for we’ll keep it for up to a month if you’re traveling when the pick up date starts. When to pick up: The wine will be ready on Friday, April 13th, but it’s not necessary for you to pick it up exactly that day. Thanks so much for your support. The next case will happen in the Fall.